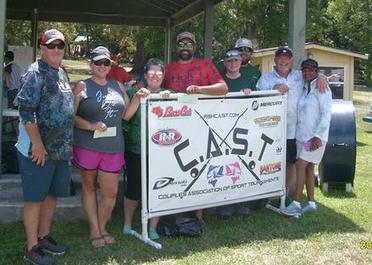 South Central ended our 2018 Tournament schedule on Lake Livingston last Saturday dodging the forecasted tropical storms but not the heat. Once again, most of our South Central teams were able to find keepers to weigh in to keep the run for top 6 close. 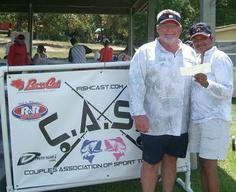 Winning the tournament was Ray and Gay Don Minchew turning in 13.85 lbs. 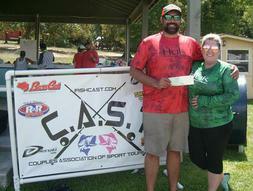 2nd Place was awarded to Mark and Morna Lane with 13.37 lbs and Cody and Jessica Williams took 3rd place with 12.65 lbs. 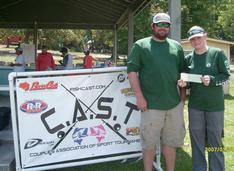 Big Bass honors went to Justin and Jessica Terry with a 4.26 lber. Charlie and I want to express our sincere thanks to each and every one of our members for a great 2018 season (our first) and all the participation and help for our year end event. We really hope that everyone enjoyed themselves and the gifts that were donated by our sponsors. Also, we hope that this will help you to convince your friends to join our club for 2019. Depending on sponsorships, we hope to be able to do something similar next year. 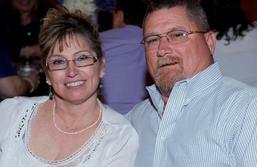 Congratulations to our Anglers of the Year, Wes Johnson and his daughter JJ. Wes and JJ were on fire this year turning in 27 fish for a total of 78.81 lbs. Congratulations to our Top 6 Winners who will be representing our South Central Region this year at the Top 6 Tournament on September 14-15th on a lake to be determined. We hope to you all at The Classic Tournament!